Part of the beauty of the American scene is the balance between new and adventurous Black Metal bands and old-school bands. Meaning that whatever you’re up to at the moment, you’ll be able to find something that pleases you. 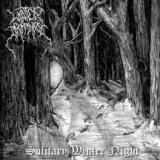 Weather its avant-garde tendencies what you’re looking for, sheer brutality, depressive soundscapes or whatever variation of Black Metal you want the US scene’s got it, and Pagan Black Metal is no exception. The Oregon based Winter of Apokalypse play a nice version of Pagan Black Metal using some of Graveland’s epic sound but without keyboards, mixing it with Bilskirnir-like melodies and adding a touch of aggressiveness that reminds me of later Darktrhone. In general the three piece manage to create rather effective and interesting songs that are varied and overall entertaining. I particularly enjoy their use of synchronized galloping riffing and drumming. There are some very enjoyable moments in the album but there are also quite a few weak ones that seem to miss that certain something that grabs you. The band manages to make use of different tempos during the songs thing that helps to avoid sheer monotony and the vocals aren’t bad, but they’re absolutely nothing special; aggressive growls all the way. The album’s production is very fitting to the music, with a good balance of rawness and clarity and in general it provides a pleasing listening experience. Without a doubt the band has talent and they have known which elements to incorporate to their music, but they’re definitely lacking something that makes them stand out in a crowd of worships and clones. Fans of this specific genre could find it interesting for the first couple of spins, but afterwards I’m sure they’ll reach out for their Drudkh album and never look back to Winter of Apokalypse again. On the other side, people who find the folkloric elements (folk instruments, happy folky tunes and melodies) of many Pagan bands a bit cheesy for their taste, or those who simply desire something a bit more “sober” but that still manages to sound Pagan should try this one out. All in all, a solid debut by these Americans and while this album isn't anything special, I would like to hear more of them in the future because they have the capacity to grow into something quite decent.